EUGENE O’NEILL – NATURALIST? ROMANTICIST? IMPRESSIONIST? EXPRESSIONIST? 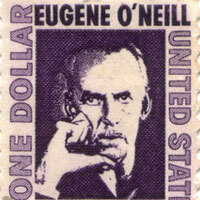 Was American playwright, Eugene O’Neill, a naturalist, a romanticist, an impressionist, or an expressionist? Most analysts will say O’Neill’s writing exhibited aspects of all these. Take for example, his plays, “The Hairy Ape” and “Beyond the Horizon”. According to this week’s Paper of the Week on AcaDemon, paper #115856, “O’Neill’s Naturalism and Expressionism”, these famous plays are examples of naturalism and expressionism. In addition to providing biographical information on O’ Neill, paper #115856 provides in-depth analysis of both “The Hairy Ape” and “Beyond the Horizon”, explaining how one is an example of expressionism and the other an example of naturalism. For an introduction to O’Neill and his works, this is an outstanding paper to read and it’s also the perfect paper for this week’s Paper of the Week on AcaDemon, as it helps commemorate this famous playwright’s birthdate, October 16, 1888.